HA NOI (VNS) — A credit package worth VND120 trillion (US$5.7 billion) would help develop the local property market, said Phan Thanh Mai, general director of the Viet Nam Bank for Construction (VNBC). Mai told a conference on developing professional construction industry markets, organised jointly by the bank and Thien Thanh Group and held in Ha Noi on Monday, that a VND50-trillion ($2.38 billion) package had been offered by different banks. Seven other banks had also registered VND70 trillion ($3.32 billion) with the State Bank of Viet Nam (SBV) as normal loans. In total, VND120 trillion will be available for real estate credit. Loans under the VND50-trillion package will have to comply with the standard requirements. This will help manage cash flow and create market confidence. New projects have to be feasible to be eligible for loans. Mai said the package, based on a partnership between investors, contractors, building material suppliers and banks, would not only reduce credit risks for commercial banks but would also lower construction costs and property inventories. "We do not expect the package to restructure the country's property market. However, it can reverse the market's stagnancy and create a new credit flow," he stated. 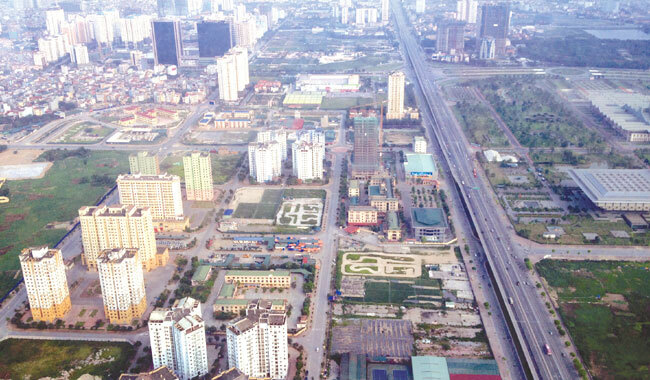 He added that real estate inventories, apart from building-material inventories, amounting to VND92 trillion ($4.38 billion), were in the market at present. Nguyen Viet Manh, director of the central bank's credit department, said the central bank attended the meeting in order to seek a market building model for effective implementation. Manh said property and building material markets had been facing difficulties for years, adding that the new credit package would be one of the solutions to these problems. According to VNBC, three banks —VNBC, Agribank and BIDV — have registered with the credit department to participate in the VND50-trillion package. VNBC is also negotiating with other banks, including ACB, Sacombank, LienVietPostBank and Ocean Bank, to join the package. Apart from these, some other banks, such as MB, Maritime Bank and VP Bank, have also been included in the negotiations. Early last month, a rumour about a VND100-trillion ($4.76 billion) credit package for the domestic property market had caught the attention of the public. Le Xuan Nghia, former vice chairman of the National Financial Supervisory Committee, said the new credit package would not have the drawbacks of the previous one worth VND30 trillion ($1.42 billion).